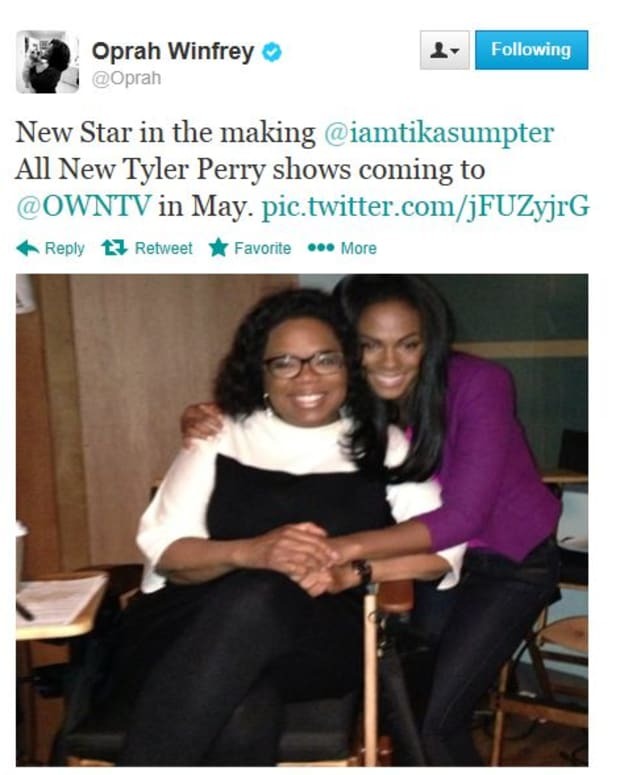 Don’t dare call Tika Sumpter’s red-hot role in Tyler Perry&apos;sThe Haves and the Have Nots a bad depiction of black women! Sumpter chatted with TV Guide Magazine’s Michael Logan about criticism of her role as femme fatale Candace Young in OWN&apos;s breakout hit. TV Guide Magazine: There&apos;s been criticism that your character presents a negative image of African-American women. Is that fair? Or is this a breakthrough of sorts? It seems African-American actresses rarely get to play the badass. Sumpter: It&apos;s true! I think most people write from what they see in their own world, which is maybe why we so often see an African-American woman as the best friend, or the one you bring in when you need some sass. It&apos;s like we&apos;re put in a box. When I was on One Life to Live I always wanted to delve into my character, Layla, to find out why she was the black sheep of the family. I so wanted to have some edge. I have no idea why there was a reluctance to do that or why we so rarely see it. I guess you&apos;d have to ask the writers. The actress also opens up about what it is like to rub elbows with Oprah Winfrey. TV Guide Magazine: Since you&apos;re now a big star on OWN, are you hanging with Oprah? Sumpter: You know what? For years Oprah was pinned up on my dream board — now I&apos;m working for her, sitting with her, eating with her! She&apos;s been awesomely supportive, not like those people who just sort of nod and don&apos;t really listen when you talk. Oprah cares like a family member. Whenever I&apos;m with her I&apos;m, like, "Tika, be cool." But it&apos;s so surreal! I mean, a year ago, who would have thought? Haves and Have Nots' John Schneider: "This is a Show About People Who Think They Have Life by The Balls"